Did you know you can cast music from your device to your speakers on WiFi wirelessly? When it comes to working from home, I usually have my laptop or phone streaming music. I don’t get the best or even loudest sound, but I learned to deal with the inconvenience of not being able to hear my tunes in other rooms. I have a bluetooth enabled speaker, but it doesn’t work off of my laptop and sometimes I can’t even get the speaker to pair with my phone. So my laptop built-in speakers are turned up as loud as they can possibly go while I work at home. 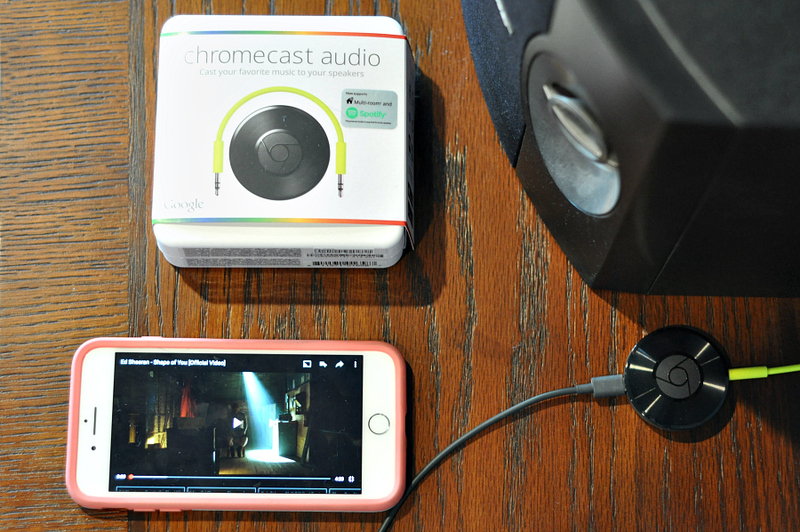 Google Chromecast Audio is the simple solution to play music on your speakers wirelessly from your phone, laptop or tablet. The Chromecast Audio device is available at BestBuy. It uses WiFi instead of Bluetooth, to stream crystal clear hi res sound. Cast music from your phone, tablet or computerThe Chromecast audio with pair with your Apple or Android device, a Mac, Windows laptop or Chromebook. 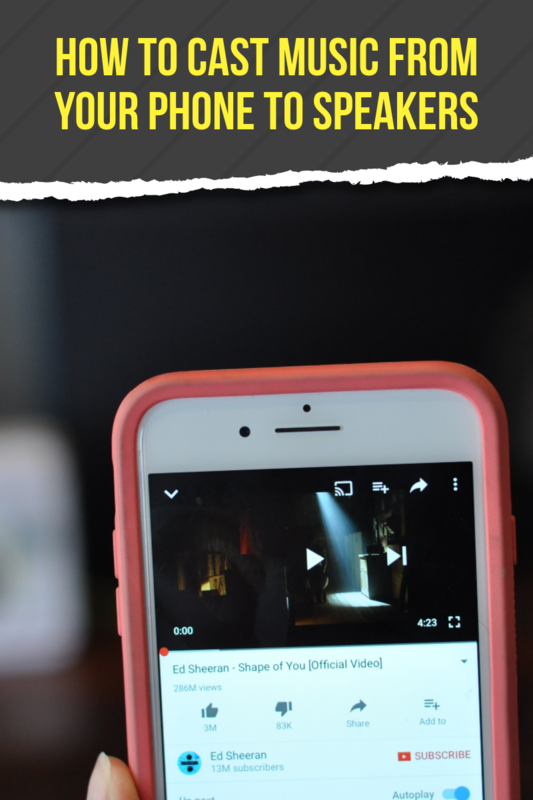 Just look for the cast feature on your favorite streaming app. Just plug Chromecast Audio into your speakers via the auxiliary input, connect to Wi-Fi and tap the Cast button. Play music throughout your home by grouping Chromecast audio devices together and listen to the same song on multiple speakers. No need to use bluetooth Chromecast audio connects to the Internet through your wireless home network. ○ By using your phone, it’s easy to play, pause, or change the volume from anywhere in the home. And while streaming, you can still text or call without interrupting what’s playing or draining your battery. Enjoy crystal clear sound with Chromecast Audio by getting higher sound quality with out the need of Bluetooth. 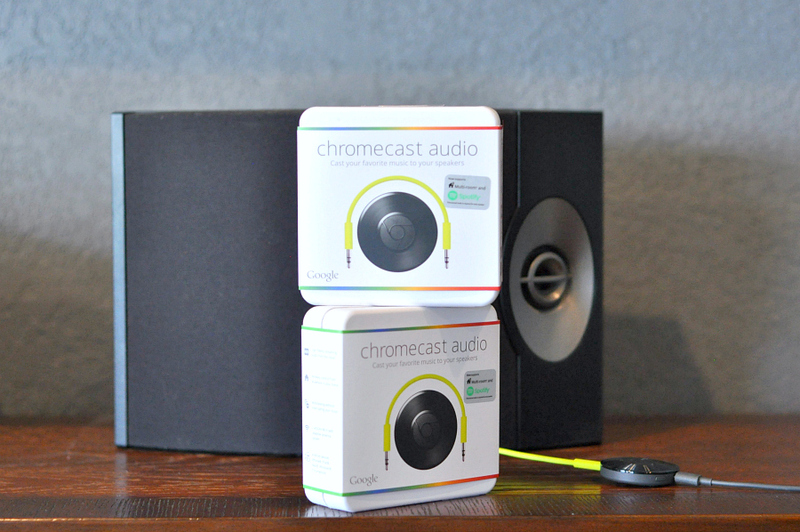 Learn more about Google Chromecast Audio at BestBuy.